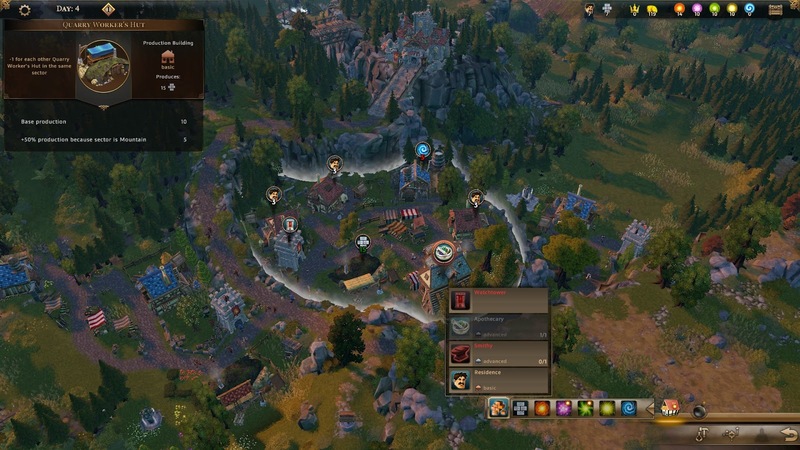 Ubisoft's Champions of Anteria, which is in its earlier production stages and being developed by Blue Byte, was originally known as 'The Settlers - Kingdoms of Anteria'. Even without its Settlers moniker, the game is an interesting and fun blend of classical genres, and does bring us a new experience. Sitting down to Champions of Anteria is like sitting down to a comfortable mug of hot chocolate on a cold day, which living in Canada, is every other day. The introduction video gives us a bright and cheery art style that uses a soft colour palette and classic fantasy tropes in order to start the tale. Which of course, like any good one, starts in the tavern. You'll find yourself sitting down to share a pint with a wizard fellow as he he happily dives into the tale of how the Champions of Anteria saved the lands and the peoples within it. 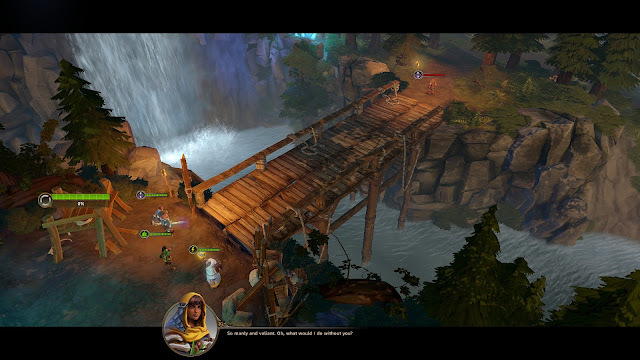 The story is then narrated, as we have seen become quite popular through the likes of Bastion and Hard West. But that doesn't mean you're set in a single path throughout, either. You'll be able to make choices periodically that will expand upon your storyline as you go along. And, before setting out on their adventure, you'll also have the opportunity to invest in, and develop the town, in order to improve the resources it provides back to you. That town management is interesting. Instead of relying on outside resources as a lot of other strategy games do, the hero's town in Champions of Anteria is much more self sufficient, and requires a great deal more micromanagement. There's limited space to play with, and many buildings are quite resource-heavy, so building the town to the point where it is providing the best benefits back to the heroes is the name of this game's particular brand of strategy. For an example of how all this works, if more stone production is needed in order to build new buildings at a faster rate, then additional stonemasons will be required which in turn requires more housing to lure in more people, which finally will require some of the said stone that is not being produced fast enough. It’s a vicious mouthful of a cycle. Taking all of this into consideration is important as resources are only given once a turn. More than this, one should also be careful in planning as new towers to protect newer buildings can only be placed if there are brave persons willing to man them. Without these towers new buildings cannot be placed which can cause a strain in building up new facilities and establishments. Once the town is up and producing potions and the like, it's time to pick locations for your champions to travel to and do their championing. Starting off with only three, there are two other champions that can be acquired that may better suit your play style. Only three may take to the field so some consideration as to your objectives should be given once the others are in play. Once out on the field things run in real time until the pause button is used in order to take a moment and tactically assess the situation. 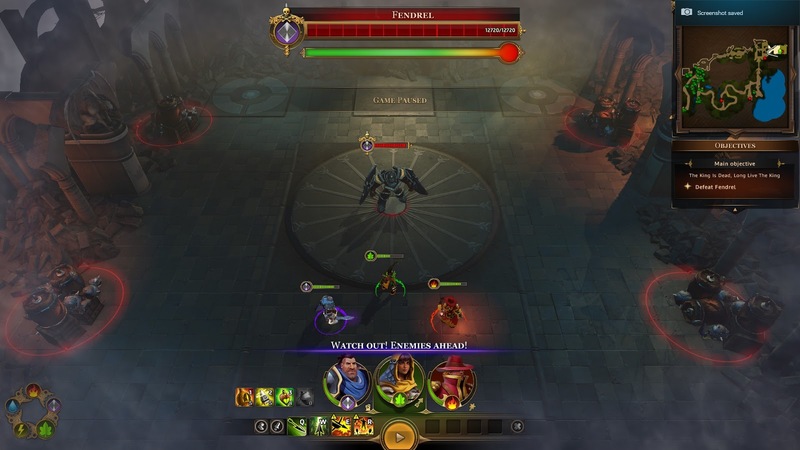 During this pause, attacks and special abilities can be queued up, which will all be very similar to anyone that has played an old Bioware RPG like Baldur's Gate or Knights of the Old Republic. Because enemies tend to be small in number as well, stealth is just as easily an option as combat. Letting patrols simply pass on by before continuing on forward is a possibility. If sneaking by isn’t working out and fighting is needed, with a little bit of exploration extra help can be found in the form of dead explorers that will help you from beyond the grave if you lay their remains to rest. Not even champions will say no to ghostly archers. If push comes to shove and the enemies have to be dispatched there’s more to it than simply smacking them until they die. Well, maybe there isn’t, but there is a more effective way! Each champion belongs to an element and have access to skills that can belong to other ones. Using a Rock-Paper-Scissors system, Fire does more damage to Metal, Metal to Nature, Nature to Lightning, Lightning to Water, Water to Fire. Picking the right champions and skills to use will be the difference between a quick and easy fight and a long winded resource depleting one. More than managing the town, more than running around the field covertly or in a battle induced rage, and more than the elemental system, are boss fights. These are simply epic multi phased fights which differ from one to the other. These will require your to really think on your feet, and there’s no way out except through them. 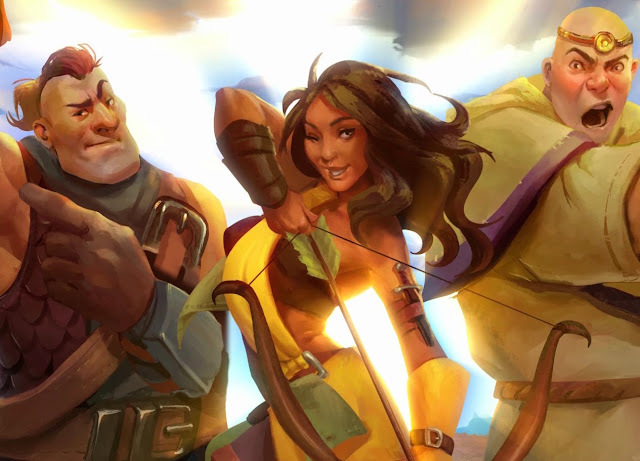 Champions of Anteria even in just its development stage is already an amazing experience. What could be experienced in this version was “limiting” only in the sense as there’s more to come and this is certainly a game you should keep firmly on your radar.